Professor Gareth Hankins, director at additive manufacturing (AM) company Renishaw. Professor Gareth Hankins, director of the group manufacturing services division at additive manufacturing (AM) company Renishaw, has been awarded one of the Institution of Engineering and Technology's (IET) Achievement Awards. The awards acknowledge individuals who have made an exceptional contribution to science, engineering or technology either by research and development or by leadership. 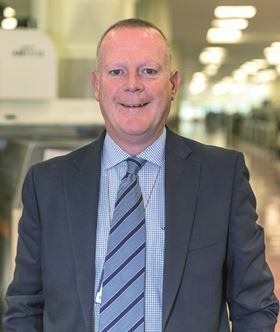 Professor Hankins joined Renishaw as an apprentice aged 16 and following completion of his apprenticeship he went on to achieve a degree in manufacturing systems and manufacturing management at Cardiff University, sponsored by the company. He progressed through various roles in engineering, production management and operations management at Renishaw, before being given responsibility for the overall management of UK manufacturing operations in 2006. Hankins was made an honorary visiting professor at Cardiff University in 2013, where he sits on the School of Engineering's industrial advisory board. ‘While this is an individual award, I believe that it also recognises the tremendous global success of Renishaw and the outstanding contribution of our highly skilled manufacturing teams,’ said Professor Hankins. ‘This year, we had a large number of entries and the standard was extremely high,’ said Dr Tim Constandinou, chair of the IET awards and prizes committee. ‘The Achievement Awards allow us to recognise the huge impact that engineers have on all our lives. Dura Composites says that its Dura Slab stair treads have won an award for Innovation in Composite Design at the Composites UK awards. BlackWing Sweden has won the Red Dot Award for Product Design 2016 for an aircraft with carbon fiber fabric wings and fuselage.